Website Review #8 really broke the mold for Website Review. It focused on a blog that happened to include M.U.S.C.L.E. As collectors it can become very easy to assume that all the collectors have been identified or that all of the websites are generally know. Finding a non-M.U.S.C.L.E. focused blog or website that even mentions M.U.S.C.L.E. is equally parts surprising and interesting. 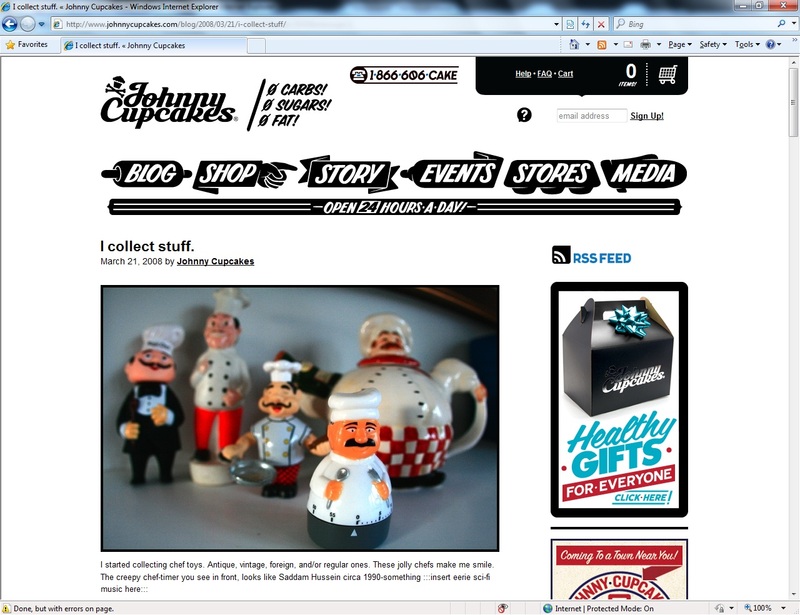 For Website Review #10 a blog entry titled I Collect Stuff from Johnnycupcakes.com is the focus. March 21, 2008 was the original posting date of this blog entry. Being offered a peak inside the reality of a person’s collection is something other collectors tend to enjoy. The University of M.U.S.C.L.E. tries to encourage it with Sociology 300. 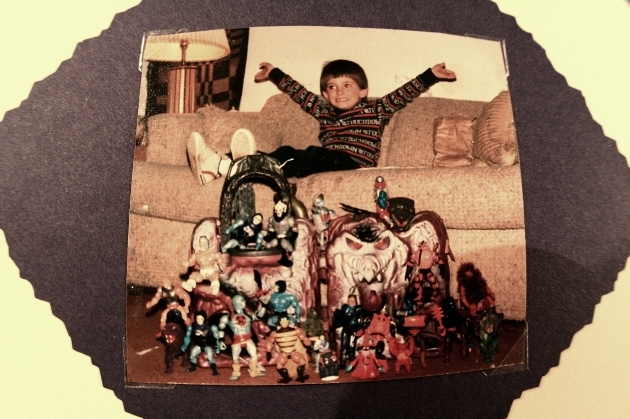 In this blog entry Johnny offers insight into his collection and even some of the things from his past that seem to stoke his collecting passion – including two childhood pictures. 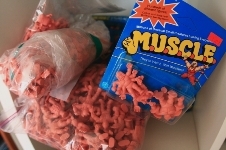 As most M.U.S.C.L.E. 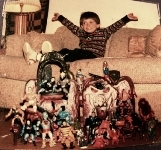 collectors are children of the 1980’s they will undoubtedly love the He-Man and Garbage Pail Kids pictures. The entry doesn’t offer any new M.U.S.C.L.E. 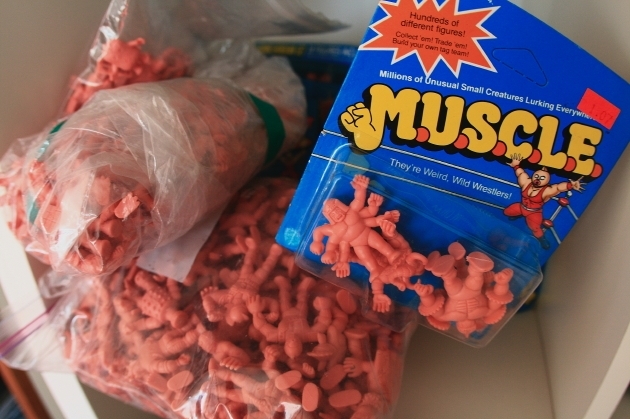 information, in fact M.U.S.C.L.E. 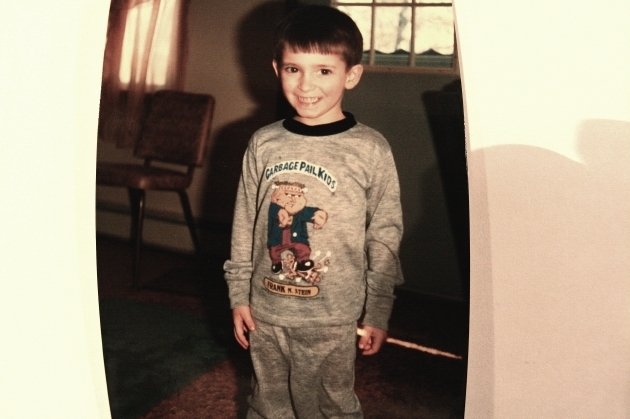 is only mentioned in a list of items Johnny collected during his childhood. However, the nostalgia and insight into a collection make this blog entry incredibly entertaining and enjoyable. Both the Johnny Cupcakes blog and website are beautiful, simple, and navigable. Too often “hip” companies try to over stylize their websites with elaborate Flash designs and menus, but none of that is present. There is only one M.U.S.C.L.E. picture, but its photojournalistic quality makes it both exceedingly interesting and highly enjoyable. The addition of his other collection pictures only adds to the enjoyment. How could one picture on a non-M.U.S.C.L.E. website earn an overall score of 5 out of 5? The answer is very simple. The honesty, simplicity, joviality, and truth create something that you want to read and view. 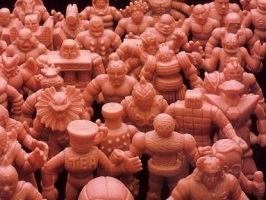 In a hobby that sometimes gets dragged into the minutia, it is refreshing to remember that M.U.S.C.L.E. toys are fun. This entry was posted on Monday, March 8th, 2010 and is filed under UofM News. You can follow any responses to this entry through RSS 2.0. You can skip to the end and leave a response. Pinging is currently not allowed. Personal Skeeball and Mortal Kombat 2!! Awesome.